From delivering milk in the hills of Kenya to racing through the streets of Glasgow at the Commonwealth Games, it is fair to say life is about to change drastically for John Njoroge, Suleiman Kangangi and Paul Ajiko. Between them the three Kenyans will compete in the 2014 Commonwealth Games time trial on Thursday July 31, and in the road race on Sunday August 3. They will come up against competitors from strong cycling nations, such as England, Australia and South Africa, but they are not without hope or a chance. Njoroge, Kangangi and Ajiko are from Iten, a small town on the Kenya-Uganda border that is notable for being home to many of the world’s finest long-distance runners. 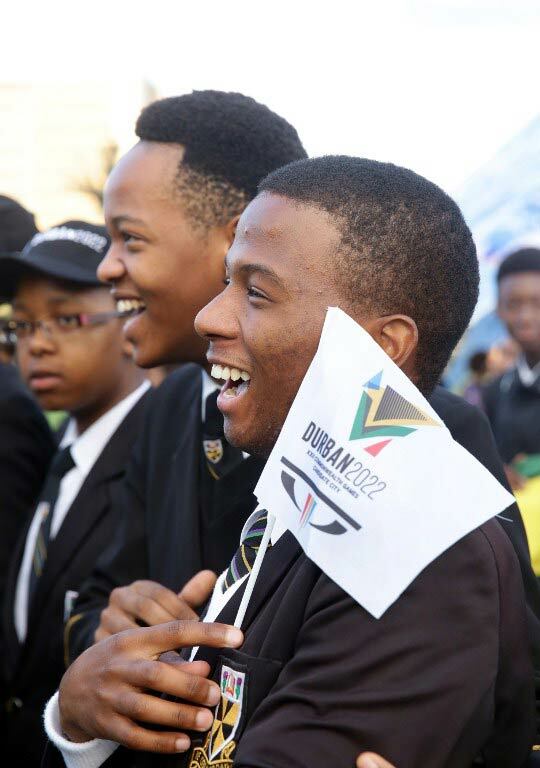 The hope of this trio is that it be known for its cyclists, too, with the Commonwealth Games offering the perfect showcase opportunity. Kenya is where Froome was raised and first put foot to pedal on his way to becoming the 2013 Tour de France winner and one of the finest cyclists in the world, yet traditionally the country has lacked a base of top-level riders. However, success has been building. 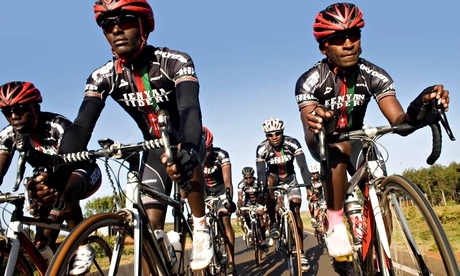 A Kenyan team finished 13th out of 9 000 teams in the 2011 l’Étape du Tour, an event that allows amateur cyclists to race the Tour de France route, and fourth in the following year’s Tour of Rwanda, Africa’s biggest cycling event. In 2012 Njoroge finished fourth in the Haute Route, a seven-day race in the French Alps which covers over 19.8 vertical kilometers, and is arguably the toughest cycling competition in the world. During that year’s Tour of Rwanda he also finished third, only two minutes behind South African professionals. Like Njoroge, Kangangi has a milk-delivery background, yet this is a man who has always had a desire to improve his life; he taught himself to read, write and speak English after being taken out of school by his impoverished mother. Now Kangangi is determined to show the world his cycling abilities and, with it, the broader sporting capabilities of his home nation. In preparing for the Commonwealth Games the team have had to work without a mechanic. The riders, therefore, have had to largely look after themselves, which has included taking delivery of their time-trial bikes, which only arrived in Glasgow this week.